The 25th China International Disposable Paper Expo (CIDPEX 2018) attracted 32000 visitors in total, representing an increase of 27.6% over the previous year. The growth rate of overseas visitors is especially obvious. There were nearly 2000 overseas visitors from 69 countries and regions, up by 29.3% over the previous year. 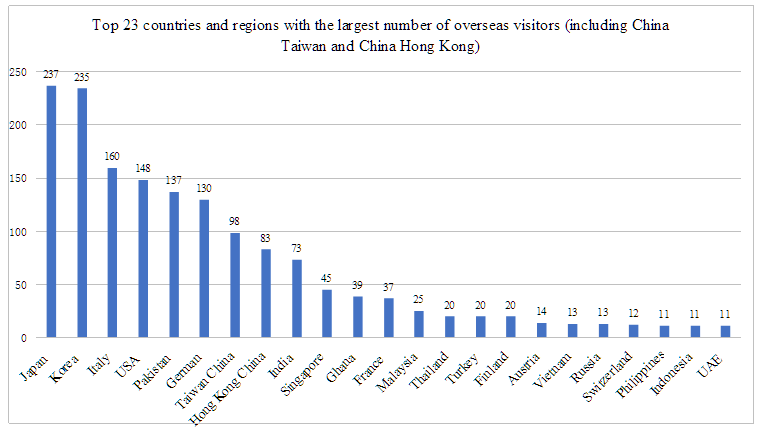 Among them, the number of visitors from East Asia andEuropeis the largest, accounting for 62% of the total overseas visitors. Chinese visitors mainly come from the provinces and municipalities of Jiangsu, Shandong, Zhejiang, Shanghai, Guangdong and other regions. 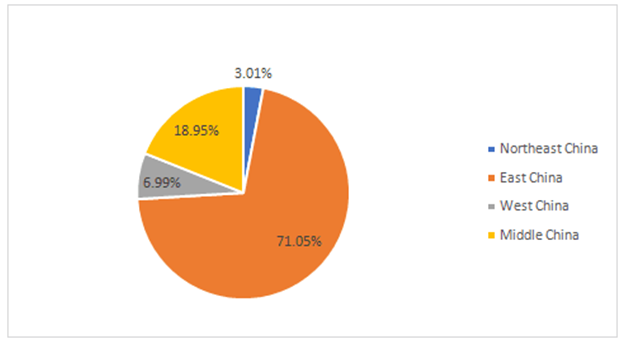 Most of the visitors are product manufacturers and distributors, and nearly half of them hold the management positions in their companies. The total number of visitors reached record high, up by 27.6% over the previous year. The growth rate of overseas visitors is especially obvious, up by 29.3% over the previous year. The number of pre-registered visitors increased significantly, up by 12.3% over the previous year. Most overseas visitors come from countries and regions with relatively mature market or large market demand. The overseas visitors mainly come from East Asia, Europe andSouth Asia. Chinese visitors come from more than 30 provinces and cities. 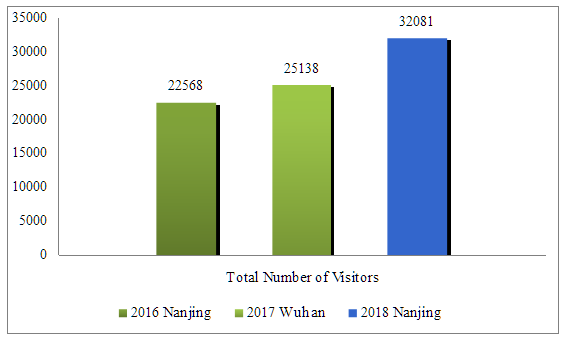 The numbers of visitors from Jiangsu, Shandong, Zhejiang, Shanghai and Guangdong are among the largest. Chinese visitors mainly come from the 10 provinces (cities) in the eastern region, including Beijing, Tianjin, Hebei, Shanghai, Jiangsu, Zhejiang, Fujian, Shandong, Guangdong and Hainan. The tissue paper and disposable hygiene products industry in this area is relatively mature and has a high degree of industrial concentration. 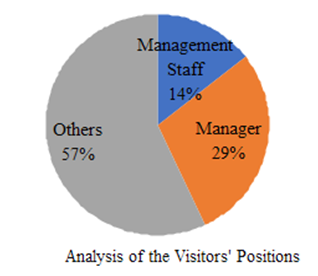 Nearly half of the visitors hold the management positions in their companies. 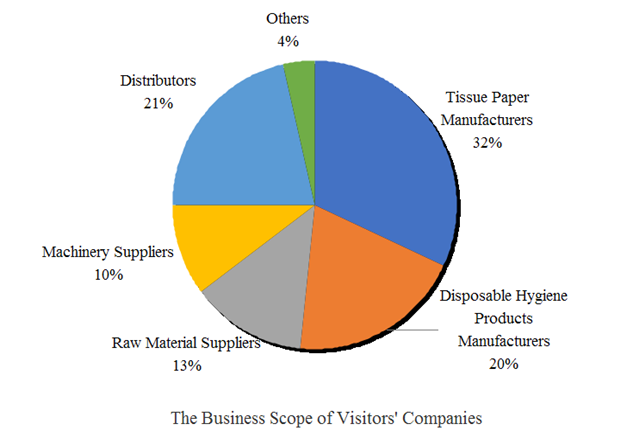 Most of the visitors are tissue paper and disposable hygiene products manufacturers and distributors.